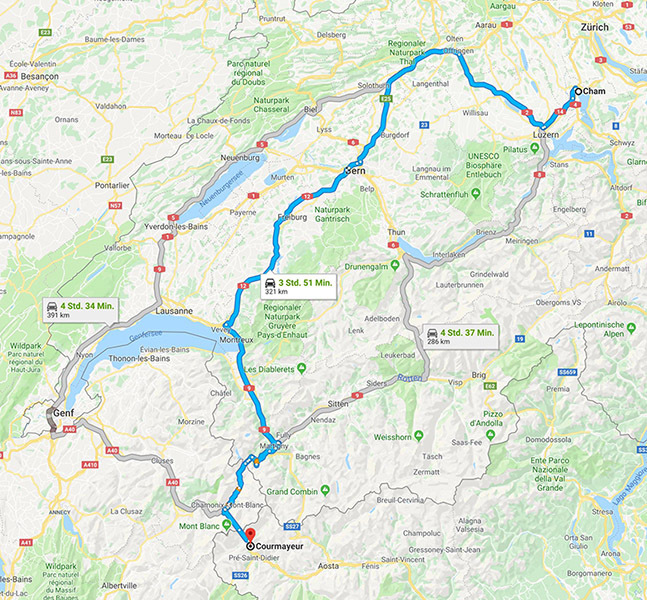 Driving from Zug to Courmayeur, Italy, advice please. Advice needed on which route to take. Any pass closures in this area? 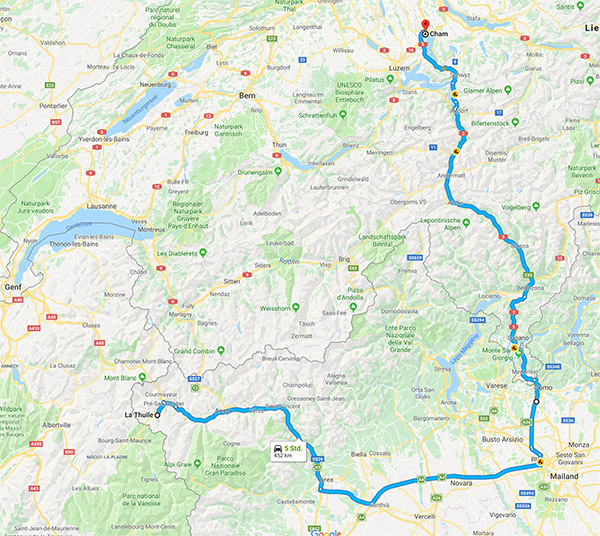 Re: Driving from Zug to Courmayeur, Italy, advice please. The only col on your route that closes from time to time is the Col du Montets, just past the border into France on your way to Chamonix. They have a website that tells you the status. I just checked it right now and you just need snow tires. But sometimes you have to have chains and other times it is completely closed. Will driving via Lugano be better maybe? Found this when googled Col du Montets. Very useful, Thank you. If it's closed I always go via Geneva but then my destination is probably Chamonix. After a heavy snow fall the road has a substantial avalanche risk, hence the closure. It's often possible to drive through the train tunnel at certain times of the day. The recent snowfalls in Courmayeur have been very helpful, 2 weeks ago the pistes were fine but the base off piste was very minimal. Another second alternative would be via the Saint Bernard tunnel (and descend to Aosta and go up to Courmayeur). That may even be quicker if there are queues at the Mont Blanc tunnel. The alternative route shown on your first map involves a toll for the Lotschburg tunnel. (Not the new base tunnel). I don’t know why they haven’t started a car carrier from Fruitegen or Speitz to Brig (or Italy). I hope you are not planning on travelling on Saturday! The A1 and A12 are often reduced to slowly moving parking lots. Changeover day in February is best avoided. Leaving Zug on Sunday morning. When I went, I took Basel, Bern, Vevey, Martingy, Grand St Bernard, Aosta. No problems on either side. No traffic Martigny onwards or on the return to Martigny. I think the Mont Blanc tunnel is quiet expensive. Snowed like crazy on the return and the climb up to the tunnel from Aosta was a bit hairy.